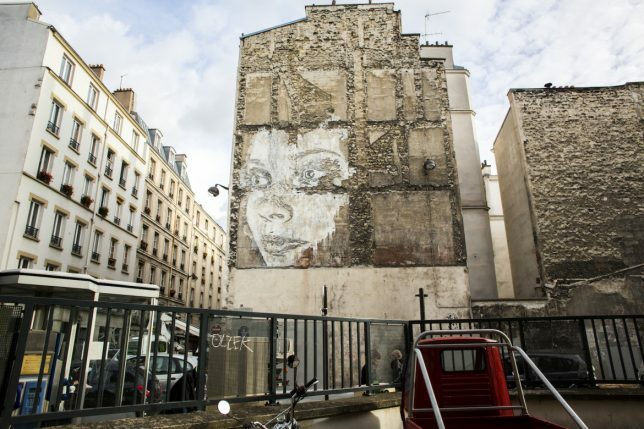 Set in neglected parts of the city, scratched into deteriorating surfaces, expressive portraits loom large, often created with nothing more than a chisel. 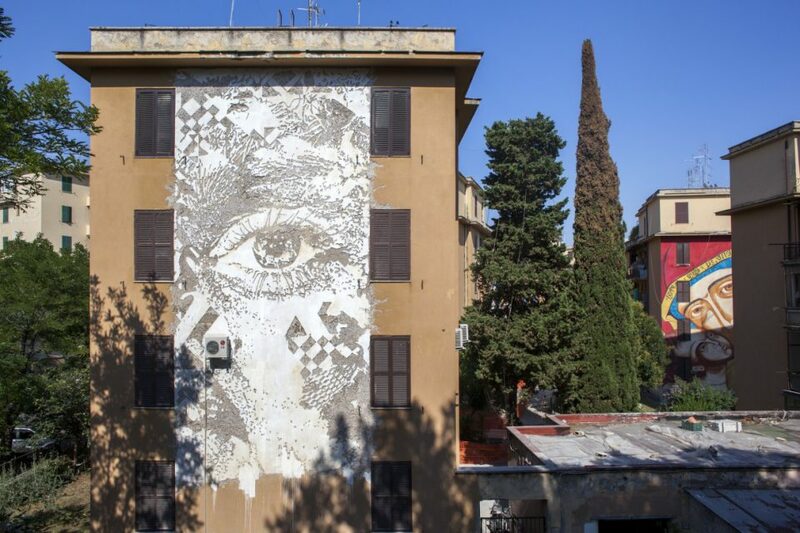 Alexandre Farto, better known as Vhils, creates art through destruction in a process some might consider vandalism – but this is street art, so what else is new? 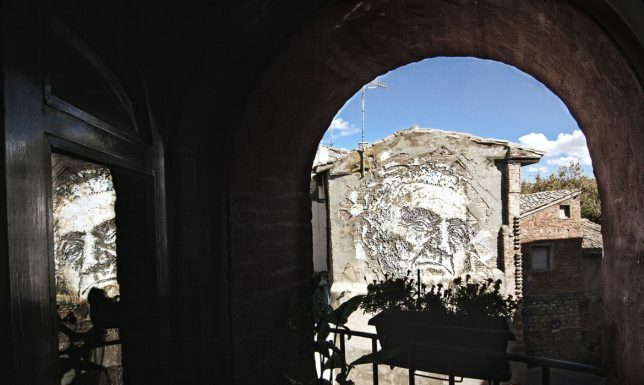 Vhils first caught the public eye when one of his portraits appeared beside a work by Banksy at London’s Cans Festival in 2008, and since then, he’s been taking his work to the next level. 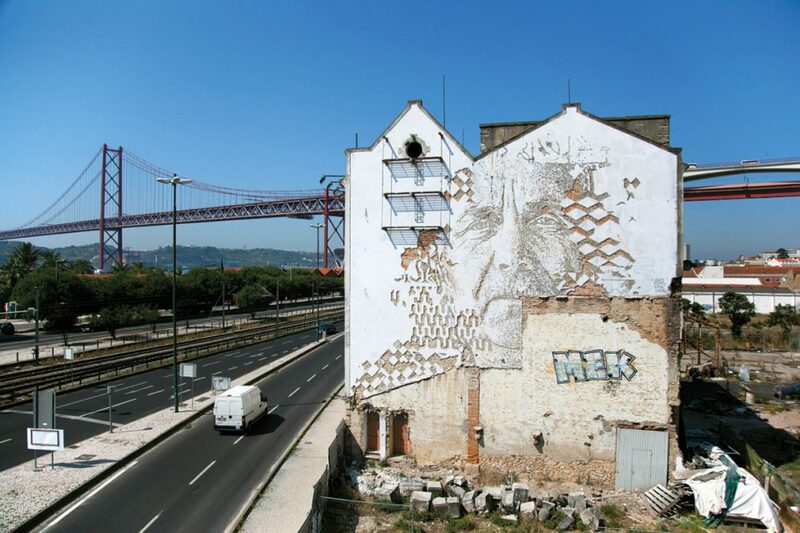 The portraits splash the faces of anonymous city residents onto concrete, brick, plaster and other surfaces on buildings and walls throughout the world, particularly in the artist’s home city of Lisbon, Portugal. 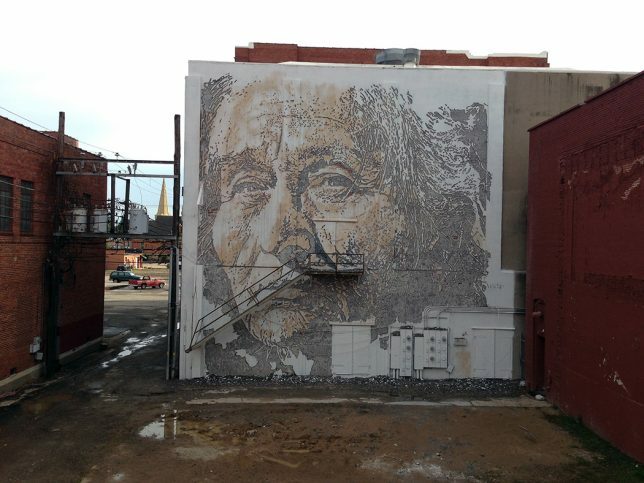 Nobody else is creating large-scale urban artwork quite like this. 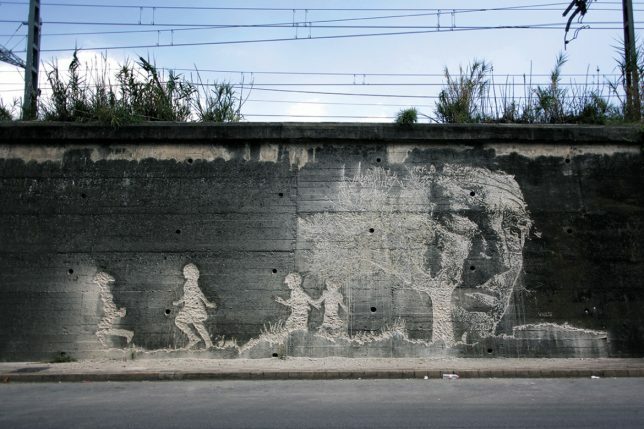 The process literally cuts through the outermost layers of wall surface, often utilizing scraps of faded billboards to provide contrast with the rougher surfaces hidden underneath. Sometimes, a little bit of paint is strategically used to highlight the image. Some of the works are even applied on top of much older murals completed way back in the ‘70s and ‘80s after the Carnation Revolution, as if the remains of the older ones are fertilizing new growth. 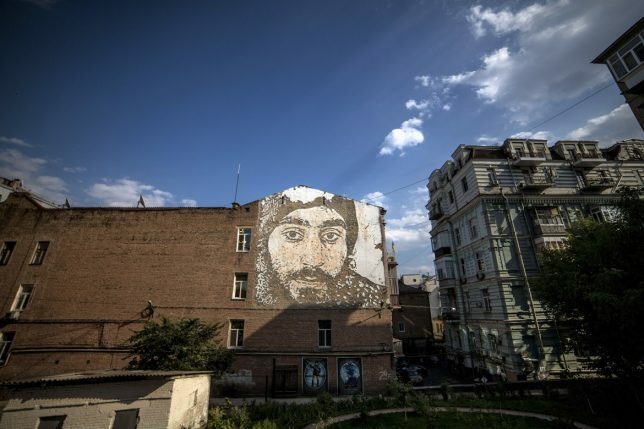 Vhils divides the images into three colors to create a three-dimensional effect, scratching out the darkest parts of the portraits and highlighting the lightest. Electric drills and chisels make the process easier on hard walls, and in one extreme example, the artist even used explosives to break away some of the plaster, capturing the process for a music video called M.I.R.I.A.M. 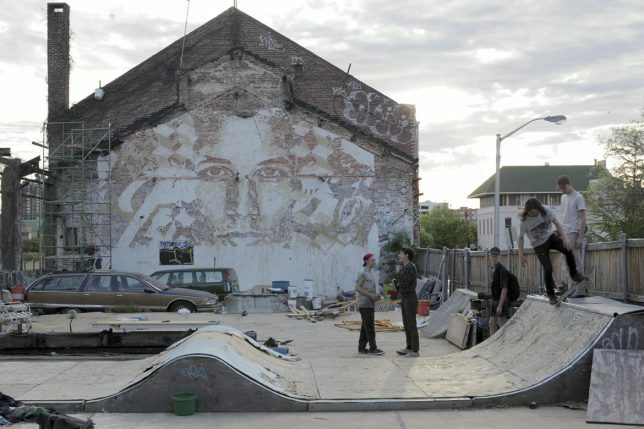 Follow Vhils on Instagram to catch his latest works.